Feeling relatively uninspired for Meatless Monday last night I decided to clear some of the older veggies out of my fridge. The best way to do that is a simple stir-fry. Instead of meat I just added some cubed tofu. 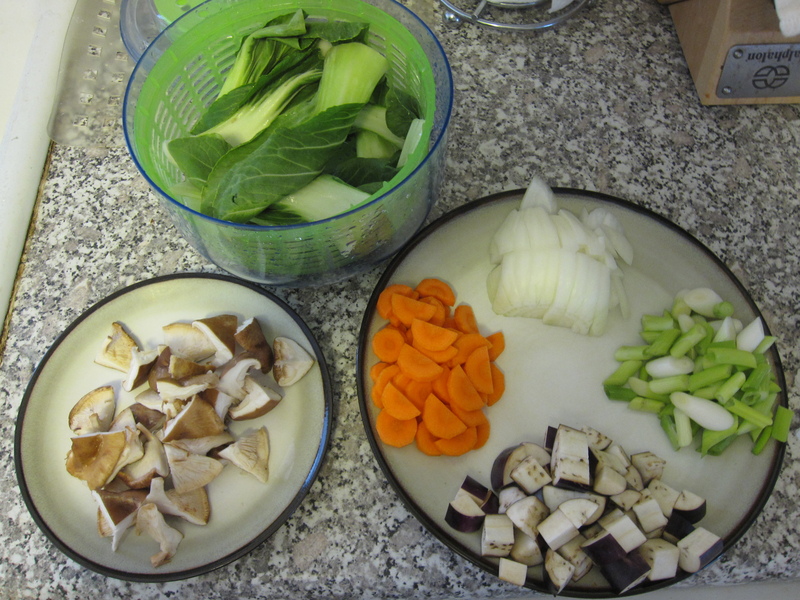 I halved and quartered some shiitake depending on their size, separated and cleaned up some baby bok choy, chopped up a carrot, half an onion, 6 green onions, and a chinese eggplant. I mixed together 1 tablespoon of paprika, 2 teaspoons of cumin, a pinch of sugar, and a pinch of cayenne. 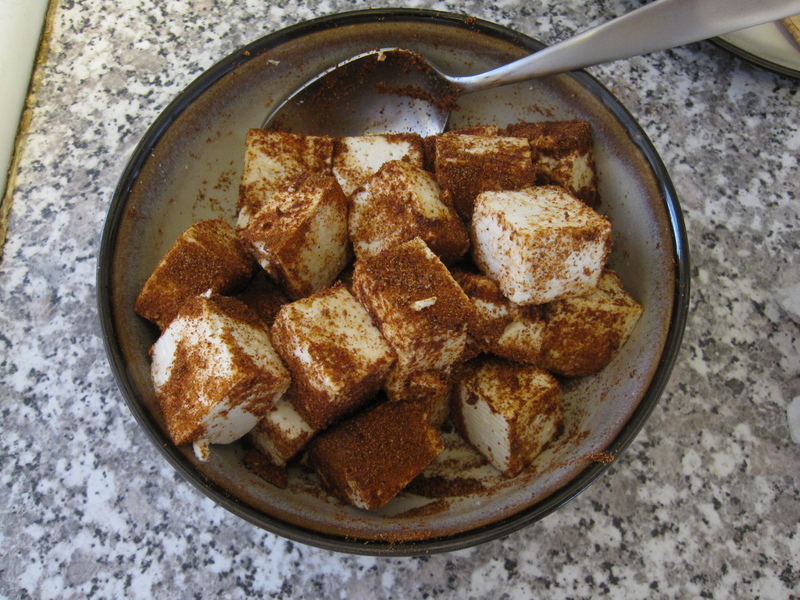 After pressing the liquid out of the tofu in the fridge for about an hour I cubed it and tossed it in the spice mix. 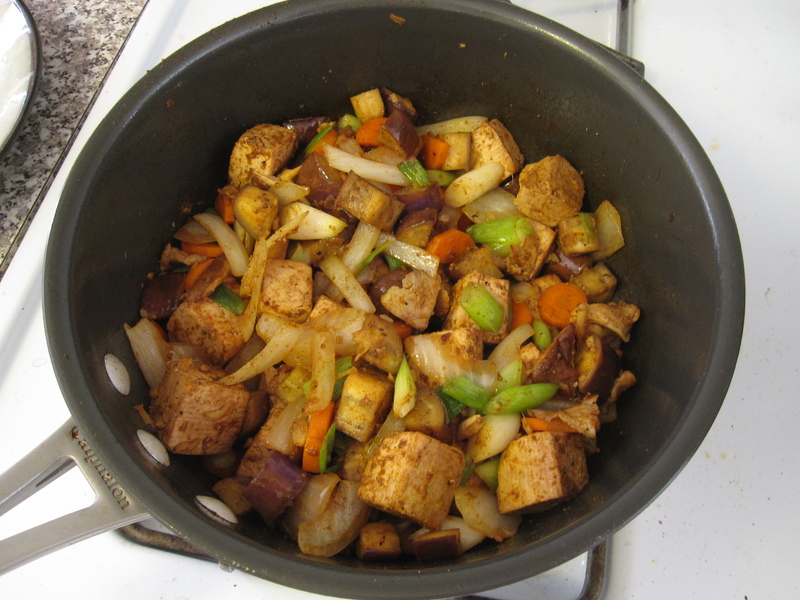 Then, in a hot pan, I stir-fried the tofu in soy oil for about 5 minutes. After that I put the tofu back into a bowl, wiped out the pan, and then cooked the veggies. I started by adding some minced garlic and ginger to some hot soy oil. Then every few minutes I added another vegetable. I started with the onion, then carrot, green onion, shiitake, and eggplant. Once all the veggies were in I seasoned with salt and pepper. Then I tossed the tofu back in and added the juice of one lime and 2 tablespoons of honey (I had mixed the two together beforehand in order to get the honey fully integrated). I let that cook down for about 3 minutes or so before it was ready to serve. 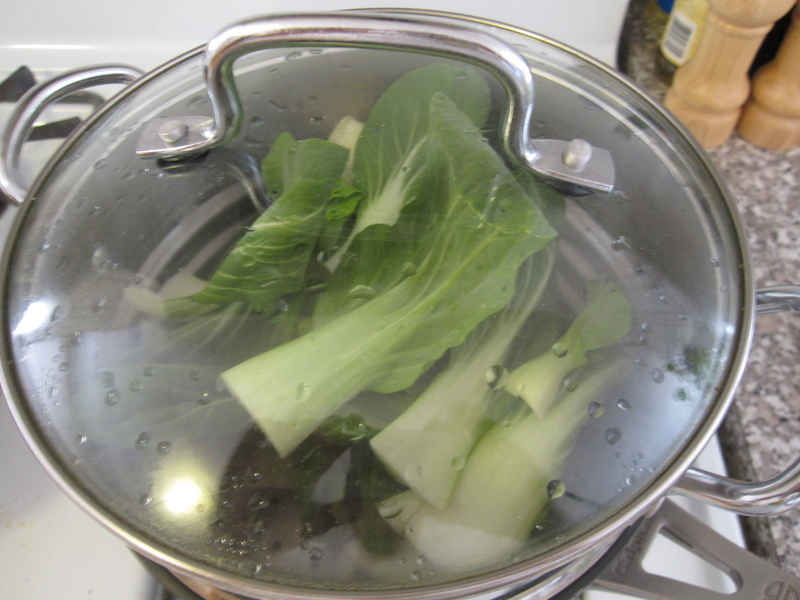 I steamed the baby bok choy for about 4 minutes. 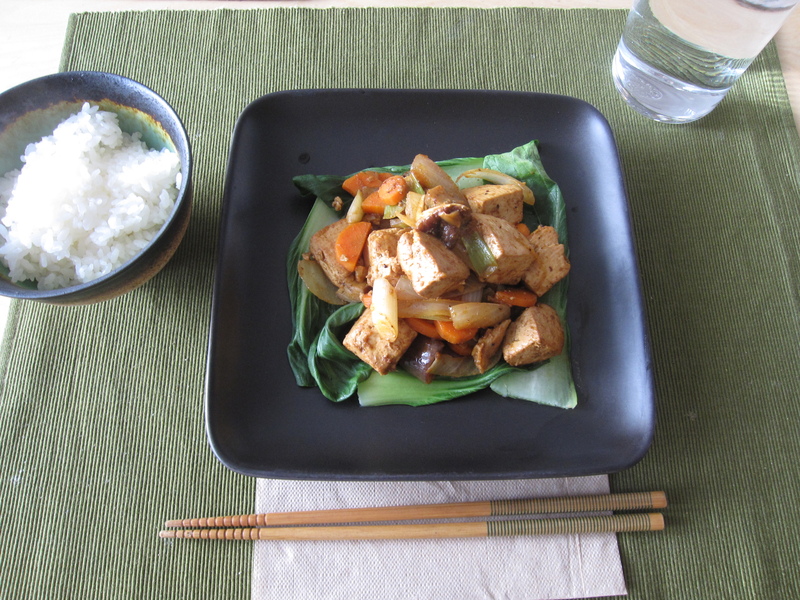 To serve, I laid the baby bok choy down on the plate and then topped it with the stir-fry. White rice was on the side.